ComPassion Based Learning is an educational philosophy based on content relevance, 21st century skills (communication, collaboration, inquiry, critical thinking, creativity) and empowering students to make positive contributions to the world. ComPassion Based Learning takes the concepts of, Passion Based Learning, 20-time, or genius hour & empowering students to make a positive contribution to the community through their passion. Please Share My Passion For Education! The most important thing I learned at ISTE, was in a taxi. After 13 years of teaching in the classroom, frustrated with the education system, it became a moral imperative for me to take a year off to inspire and implement change in education. The past year has been amazing! Difficult, but amazing. In the process I connected with Lynda.com and LinkedIn who both share strong and similar passion for education and helping to transform it. I decided to accept a position at LinkedIn, where I will be helping to create professional development videos and articles, as well as speaking and working on strategy to help transform education. Please connect with me on LinkedIn and join me in trying to revolutionize education. My goal is to empower anyone who is working to empower students to learn how to learn, while they change the world. I wanted to post this on the ComPassion Based Learning blog as well, as I believe the story encapsulates the philosophy of the concept. 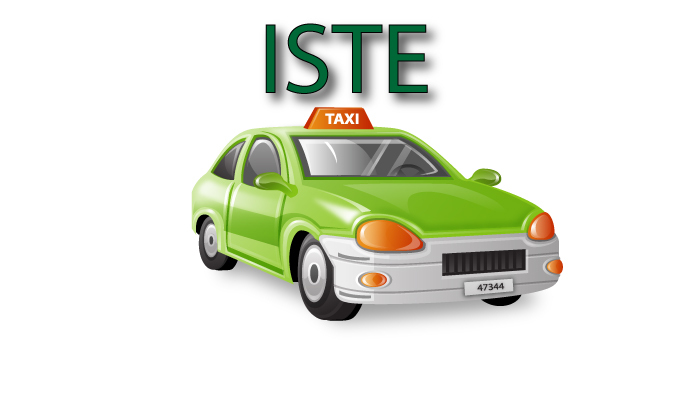 "What I was about to learn in that taxi cab was not only the most important thing I learned while at ISTE, but one of the most important things I have ever learned." Learning about the newest educational technology. Learning engaging ways to use this technology to improve student learning. Connecting with educators from around the world as they share inspiring stories & great advice. I learned a lot over the four days at the ISTE conference. I learned too much. Too quickly. On my plane ride home, as well as over the next couple of days, I began to go over notes, business cards, and pamphlets in an attempt to recap everything I took in. Seven days, two Tylenols, and a glass of water later, and I’m still not done going through everything. At the conference, I saw a lot of things which have me hopeful and optimistic about the future of education with regards to empowering our students to be successful. Theeducation system has certainly taken the slow route to the 21st century, but it appears to be on the verge of arriving. While at the ISTE conference, I also developed concerns. The sheer volume of companies, products, and tools that are out there on the market is overwhelming. Filtering the true game-changers from the gimmicky gadgets and games is going to be a critical challenge for educators. Many of the products appear to be great tools to improve student learning, while others seem to be gimmicks. In the digital age, I believe that technology needs to become an interwoven part of the education process, but is vital that we spend our money wisely and make sure that the final outcome is always to improve student learning. This is a topic for hundreds of other posts, but it is not the main point of this post. Learning about all of the educational technology was not the most valuable thing I learned at the conference. The most valuable part of the actual conference was the opportunity to connect. Connecting with other like-minded educators from around the world who happily share their stories, advice, and experiences is incredibly empowering. If you have not connected with other educators from outside of your district through Twitter, Skype, LinkedIn, Facebook, EdCamps or at conferences, I recommend trying it. You will be amazed at how much awesomeness is happening in schools around the world. In my opinion, if you are not connected, you are disconnected. That shouldn’t be an option at this point. This instance was different, however. Before I could ask the taxi drive how he was doing, he asked me how I was doing. He then asked if I was attending the education conference. When I told him I had been, he asked me what I learned. As I told him, he listened intently and asked some thought-provoking questions. I started to get the feeling that he was passionate about educational technology, but in hindsight, I doubt he was. The taxi driver then asked me if I enjoyed Philadelphia. I explained to him that I had been at the convention center every day from early morning until evening and didn’t a get a chance to see the city. He thought that this was unfortunate and warned that I would get home, have people asking how I liked Philly, but wouldn’t be able to respond to the question. He had a great point. I admitted that I wish I would have taken more time to see the city. “If you would like, I can take a slightly longer route to your hotel and show you a couple cool things.” he said. I told him that I was getting low on money and couldn’t afford to spend too much on my taxi ride. He explained that it was a $25 flat rate for a taxi ride from the convention center to the hotel, and that he wouldn’t charge extra to take the longer route. I told him that I still had four hours before my plane departed, so I would appreciate if he could show me a couple cool things about Philadelphia. As he drove down the streets of Philadelphia, he pointed out the Liberty Bell, Benjamin Franklin’s burial ground, and some other significant landmarks. He showed me Independence Hall, the building which appears on the back of the $100 bill, which was where the Declaration of Independence and the constitution were signed. He then proceeded to Interstate 95. He explained where we were in proximity to other cities like New York, Washington D.C., Baltimore and others which could be reached by traveling on I 95. He showed me the Delaware River, as well as the Benjamin Franklin and Walt Whitman Bridges that crossed them. He explained that the land I saw on the other side of the river was New Jersey, and that this was the same river that George Washington and his troops crossed during a key point in the Revolutionary War, about 45 minutes north of where we were at. Wow! This was fascinating! eaten a cheese steak at. I couldn’t say no. Thirty minutes later, and I was enjoying one of the most delicious sandwiches I had ever had. It was incredible! We continued on our path which took us past the stadiums where the Eagles, Phillies, and 76ers play. As we drove past Citizen’s Bank Park, home of the Phillies, he asked if I wanted to get my picture taken in front of the stadium next to the Mike Schmidt statue. This sounded like a great idea. Sure enough, we pulled over and he took my picture in front of the stadium. As the taxi driver pulled up to the hotel, he told me that it was only $4 more to have him take me to the airport. He told me that if I wanted to, I could grab my bags and that he would wait. This sounded better than waiting for a shuttle, so I took him up on the offer. Sure enough, when I came outside with my bag, he was waiting to load them into the car. As we pulled up to the airport he told me that he hopes I enjoyed Philadelphia and some of the places that I was able to see. He pressed the button on the dash of his cab and said that the total was $29, the same price as every other taxi ride I had taken on this trip. I reached in my pockets and pulled out all of the money that I had left. It was $65. I gave it all to him and told him that I greatly appreciated everything that he done. He insisted that I did not have to give him that big of a tip, as he knew I was running low on money, but I told him that I wanted to. The tour he had given me of Philadelphia was worth a lot more than $65, and the lesson that he taught me was priceless. He got out of the taxi, said "God bless you", shook my hand, and said that he hopes I have a safe flight home. What was the lesson that I learned? I immediately thought of this experience and how it relates to education. As educators, we are essentially the “Taxi Drivers” for our students as they are on a journey through life. Each day they arrive in our classroom and it is our job to take them to where they need to be. We are the ones who are supposed to know where they need to go and how to get them there. When you are in the presence of students, as you guide them down this path, what type of taxi driver are you? Are you the one that grunts and goes about your day without any passion and enthusiasm? Or, are you the driver that is going to ENSURE that each student has a great journey, feels important, enjoys the moment, and goes on a ride that they will remember for the rest of their lives? I suggest you try the second option. Make this decision every morning. Put it into practice with family members, students, coworkers, and strangers. Not only will your days be more enjoyable, but you will likely impact other people and the world more than you could ever imagine. At ISTE, ironically, I learned that It doesn't matter if you have the latest and greatest technology, software, or gadgets, if you fail to help students learn, feel important, become inspired, and reach their potential. Technology is only a tool. It is not the cure for education's issues. It is still, and will always be, up to the teacher to make the difference. Choose to be the "guide by their side". They need you! I almost left Philadelphia without learning a damn thing about the culture of Philadelphia, but someone rescued me. Don’t let your students leave your classroom without learning about life, living, and the culture of your classroom. Make it your goal to make each student feel special, help them get to where they need to go, and inspire them to tell stories about where they just came from once they get there. Global School Play Day: Why I think it is one of the most important days of the year. - Students are becoming increasingly disengaged at school. - Rather than inspiring students, we are deterring them from becoming lifelong learners. - We have become so obsessed with "rigor", that we have abandoned relevance. - School has become irrelevant. It does not prepare students for the real world. - We have become obsessed with college & career ready and have forgotten about life. - Students are more concerned with grades, than with learning. - School has become so stressful that the psychological damage outweighs the gains. According to the Association for University and College Counseling Center Directors, 95% of college counseling center directors surveyed said that the number of students with significant psychological problems is a growing concern at their center/campus. A study done by the American Psychological Association, yielded some disturbing results. Teens, on average, rate their stress levels at much higher than they believe is healthy. The average stress level is a 5.8 out of 10, while they report that they feel 3.9 out of 10 is the threshold for being healthy. 27% of teens report stress at levels of 8,9, or 10 on a scale with a high of 10. 33% of teens report they experience headaches a result of stress. 26% report changes in their sleep patterns due to stress. 36% feel tired as a result of ongoing stress. Only 16% of teens say their stress has declined in the past year. Nearly 50% of teens report that they DO NOT know how to cope with stress. 54% believe that stress has only a slight or no impact on physical or mental health. 26% report that they have snapped or were short with classmates due to stress. HOW ARE THEY DEALING WITH STRESS? 46% report playing video games as a way to cope with stress. 43% report going on the internet as a way to cope with stress. 37% report exercising as a way to cope with stress. 36% report watching television as a way to cope with stress. The # exceeds 100%, because many reported multiple coping methods. TEENS ARE ADMITTING THEY DO NOT KNOW HOW TO DEAL WITH STRESS. I AGREE. CLEARLY, THEY DO NOT KNOW HOW. How would they know? At what point do these issues become more important than teaching kids the steps of the Kreb's Cycle, reading Grapes of Wrath, learning about the War of 1812, or memorizing the Pythagorean Theorem? 83% of teens report that school is causing them significant stress. Not only are the schools failing to adequately address the issues, they are one of the biggest causes of stress. I believe that learning how to deal with stress is a very important part of life, and that it is good to experience some level of stress, but this is getting ridiculous. When the stress is caused by insane amount of homework, growing pressure and expectations to attend and complete college, the constant comparing of students' abilities through grades, the high stakes test, and the lack of relevance to the students' lives, something is wrong. TEEN SUICIDE IS THE THIRD LEADING CAUSE OF DEATH FOR YOUNG PEOPLE 15-24, according to the U.S. Center for Disease Control Prevention. ONE IN FIVE TEENAGERS SERIOUSLY CONSIDERS SUICIDE ANNUALLY! Please tell three others about that statistic. ABOUT ONE IN EVERY TWELVE TEENAGERS ATTEMPTED SUICIDE. This is over 1,000,000 kids. I taught at a school which was impacted by several suicides. I know that many of you have been at a school impacted by a suicide. If no, this is something that I hope you never have to experience. The statistics, however, illustrate that you will likely have this impact you at some point. When this happens, there is nobody walking around talking about college & career ready, standardized tests, homework, or grade point averages. All of that becomes irrelevant when we are reminded that our students are PEOPLE and not GRADES. Why do we have to wait until these extreme circumstances until this reality hits us. And, why does this feeling of concern seem to disappear as we fall back into the illusion of college and career ready and grades. STUDENTS EVERYWHERE NEED YOUR HELP. HONESTLY. WE CANNOT CONTINUE TO SETTLE FOR LESS WHILE PERPETUATING OUR OBSESSION WITH GRADES, COLLEGE & CAREERS. In one of the best TED Talks I have seen, 13-year old Logan LaPlante discusses his answer to the question "What do you want to be when you grow up?" His answer: HAPPY! Maybe we should take Logan LaPlante's advice and focus more on our students as human beings who desperately need to learn how to communicate, collaborate, think critically and creatively, problem solve, ask questions, know how to deal with stress and who to go to for help and understand how to learn. We need to motivate them to become passionate about life and then REMOVE OBSTACLES FROM THEIR PATH (rather than create obstacles) and help them be successful. Instead, we are more concerned with content standards and standardized tests. This is unacceptable. I am not sure when it was decided that school would become a minor league system for COLLEGES & CAREERS, but it is taking a severe toll on our children. There are red flags everywhere telling us that we are failing at this game. Almost 50% of students who begin college do not finish, yet leave with major debt. The cost of college is causing an increasing number of graduates to be in severe debt. Almost 50% of marriages are ending in divorce (and this number is increasing). their eyes on their own paper. ...... and on, and on, and on. One could go on forever with alarming statistics. I recently spoke with Tim Bedley and Scott Bedley who shared their brilliant idea to raise awareness on the importance of play and how badly our students need this. In the following days a group of educators have joined together to help organize and promote one of the most important days of the year. February 4th at schools around the world. Over 35,000+ students are participating already. I highly recommend watching the TED TALK by Peter Gray on the importance of PLAY. It discusses the many benefits of allowing students to have unstructured, self-directed time to play. An opportunity to allow students to be kids. An opportunity for students to experience social interaction, communication, and collaboration. An opportunity to be free, forget about stress, have fun, and engage. Do not underestimate the amount of learning that takes place when students play. It is powerful. It is amazing. A quick search for the benefits of play will yield a plethora of good reading! Do not misinterpret Global School Play Day. It is not a "reward" for students because they have tried hard or have behaved. It is a part of development. It is pedagogy. It is an important element of life. ONE DAY is NOT suffice to illustrate the importance of play, but it is a start. Sit back and watch the students during this day and I am confident you will learn more about them than you ever have on a regular day of class. Play is not a reward. It is a developmental basic human need and it should be mandatory in schools. The amount of time our children spend playing has been decreasing dramatically over the past decades. I really hope that Global School Play Day will be another spark in the movement to revolutionize education and restructure our priorities. Students deserve it. Our society needs it. If you read this before February 4th, 2015, please register your class! If you cannot afford to give up a whole day, devote part of the day to it. Explain to students why you are doing it and help raise awareness on the importance of play. All the resources, explanations, and forms are available for you on the website, if needed. If you are reading this after February 4th, 2015, please check out the website, look at the resources, the videos, the stories that educators tell. You can still join the movement and be ready to participate next year. GLOBAL SCHOOL PLAY DAY will take place on the first Wednesday in February each year. It is time to rescue our children, by rescuing our education system. Global School Play Day is one giant step in the journey to transforming education. Let me know if I can help you transform education, as it has become a moral imperative for me to do so. I want to help. I must admit that I was sometimes frustrated when I would see you, after you had graduated, and you would tell me about what you remembered from my class; the NFL picks, my white shoes, the silly games we played, the fun conversations we had, the stories we told, my rare clothes, and the non traditional projects we did. "I was their science teacher for a whole year, and all they remember from my class is the NFL picks, my white shoes, the silly games we played, the fun conversations we had, the stories we told, my rare clothes, and the non traditional projects we did?" It made me feel like I had let you down. It made me think that I had spent too much time having fun and getting to know you, and not enough time rigorously memorizing the content standards. Had I hurt your chances of being successful later in life? I sure hoped not. I remember one time, I was with a couple of my friends, who are also teachers. A group of three former students came up and talked to me for 10 minutes, talking about all of the fun things we did and all of the crazy times we had. I felt kind of stupid. What would these other teachers think about me? I had these kids in class for a whole year and they only remembered the fun/crazy stuff? It made me feel like I wasn't doing my job and that the other teachers would judge me. I have now had the opportunity to talk to hundreds of you after you have graduated from high school. I wanted to thank you for visiting me and letting me know that you had a good time in my class and that you remember it. I want to thank you for all of the smiles and nice things that you have said to me, after all of these years. I wanted to let you know that I remember you being in class as well. I haven't forgotten any student I have ever had in class. I wanted to let you know that I had a good time as well. It helped me realize that school is a FANTASY WORLD. The system claims to be preparing you for your future in the real-world; however, they are demanding you learn information and develop skills you will never use again. Most administration and staff are completely "disconnected from the real-world", which I am constantly reminded of by businesses I collaborate with. Yet, the adults in the school claim to be confidently preparing you for that same "real world". 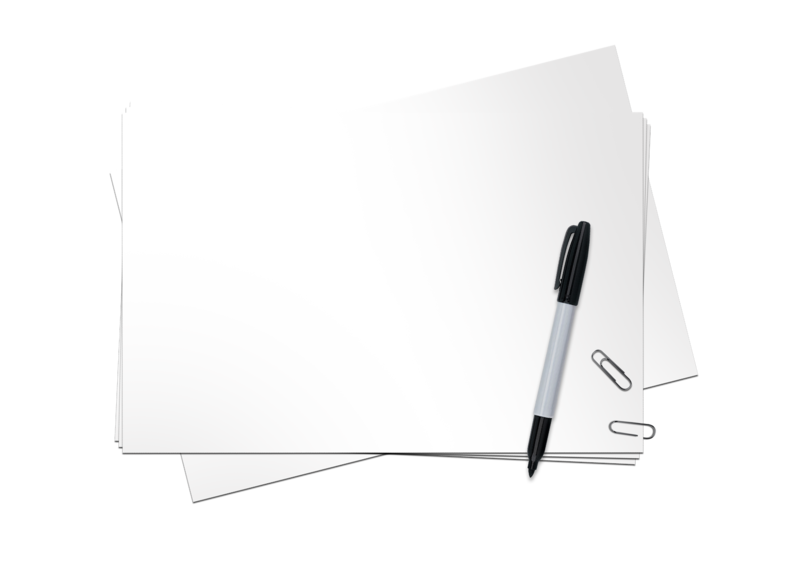 We made you take so many notes. We made you do so many worksheets (90% of which didn't reinforce any important skills). We made you take so many multiple choice and standardized tests. For everyone that was trying at school, we made your life so very stressful. We robbed you of too much time when you were just a "kid" and should have been able to spend more time being a "kid". We concerned you way too much with flashcards, deadlines, homework, and quizzes. For everyone who wasn't trying at school, either because you lost hope and self-esteem because you were not good at it or because you had a much more difficult home life than I can imagine, the school was so cruel to you. I apologize that they continuously called you out in front of your peers, acted angry towards you, took away your eligibility to play sports, and made you stay in at lunch recess and after school to do more worksheets. I truly apologize about all of this. Looking back, I was part of the problem. I must tell you, though, that I didn't know any better. Honestly. I had just come out of 17 years of schooling and started to do what almost every other teacher has always done. I was being the robot the system had programmed me to be. I followed along and played the game. I settled for the status quo. I apologize. I finally realized that you are not a holding tank for irrelevant facts (remember having to know all of the dumb organelles of the cell and all of the little phases of photosynthesis. Ha!). You are not a subordinate. You are not a grade. You are a person. I apologize that I was unknowingly lying to you and claiming to you that we were truly preparing you for your future and not our past. As I always promised you, though, if at any point, I didn't think I was doing everything in your best interest, I would resign and fight to fix the problem. I just wanted to let you know that I resigned and I am spending every day that I have fighting the problem. I am fighting for the education system to respect students for being the living, breathing, caring people that they are. I am fighting for them to stop lying to you and convincing you that you need to memorize all of those facts. I am fighting for them to stop testing you so much. I am fighting for them to stop comparing you to everyone else in your class, on irrelevant standards, although you are a unique individual with a wide variety of different talents. I am fighting for them to give kids autonomy, purpose, and mastery. I am fighting for them to help get kids passionate about life and then be by your side when you need help learning about life and how to learn. I am fighting for them to empower you and give you a voice. Remember all of those days we did the NFL picks game, laughed about my white shoes, the silly games we played, the fun conversations we had, the stories we told, my rare clothes, and when we did the non-traditional projects that you second guessed because they were not "regular school". THOSE ARE THE ONLY TIMES I AM NOT APOLOGIZING ABOUT. Those are the times when there was mutual respect in the room, when we were LIVING, when we were laughing, and we felt safe and secure. Those are the times when we were becoming more passionate about life and learning, and more concerned with helping others. Those were the times that we were actually preparing for our futures, as unique as they would all be. We were practicing being people. Those are the times when we were actually learning, creating, analyzing, and collaborating on things that were relevant and important. You, the students, were not the only ones learning in that room. I obviously had a lot to learn as well, and I thank you dearly for helping me to do so. As I always emphasized in class, stand up for yourself! Be the change you want to see. You are a wonderful person and you have the potential to do anything. Don't settle for anything less than excellent! You deserve it! Please Subscribe to my Passion for Education!!! The Coolest Thing I Have Ever Seen. Thank you to these people!